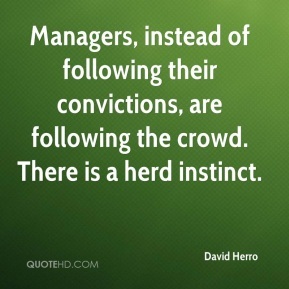 Managers, instead of following their convictions, are following the crowd. 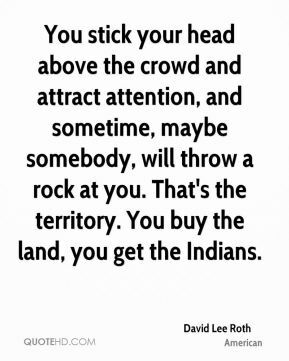 There is a herd instinct. 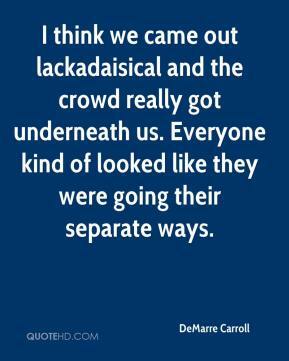 I think we came out lackadaisical and the crowd really got underneath us. Everyone kind of looked like they were going their separate ways. 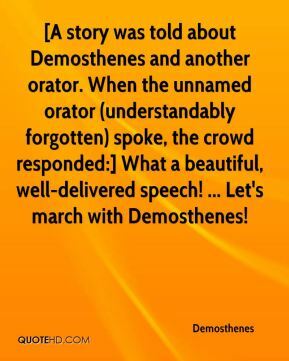 [A story was told about Demosthenes and another orator. 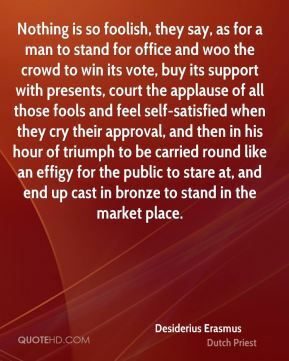 When the unnamed orator (understandably forgotten) spoke, the crowd responded:] What a beautiful, well-delivered speech! ... Let's march with Demosthenes! We have fun. I think it spills off into the crowd. 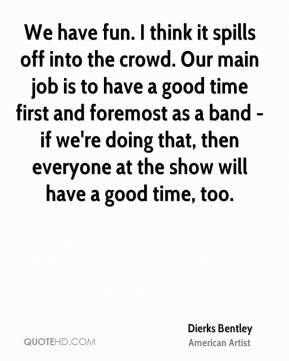 Our main job is to have a good time first and foremost as a band - if we're doing that, then everyone at the show will have a good time, too. It is very fantastic for me. 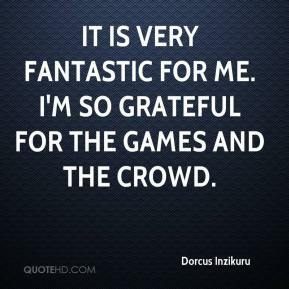 I'm so grateful for the Games and the crowd. 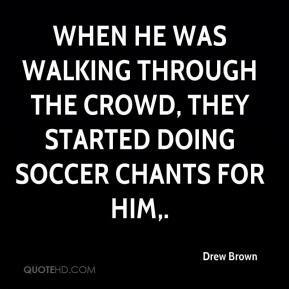 When he was walking through the crowd, they started doing soccer chants for him. The crowd was so loud. 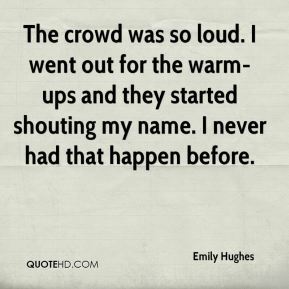 I went out for the warm-ups and they started shouting my name. I never had that happen before. You could see the crowd. It started out really nice. 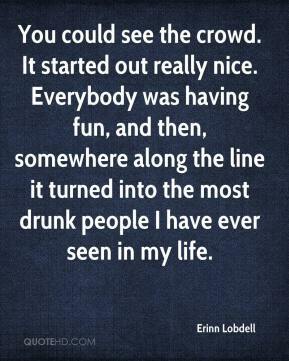 Everybody was having fun, and then, somewhere along the line it turned into the most drunk people I have ever seen in my life. Both skiers were on edge and had small form breaks. ... 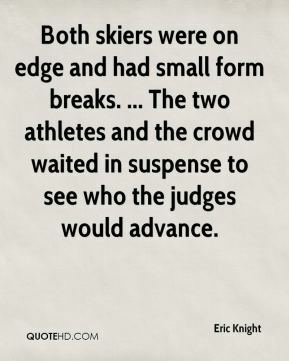 The two athletes and the crowd waited in suspense to see who the judges would advance. I never thought (the crowd) was that huge. 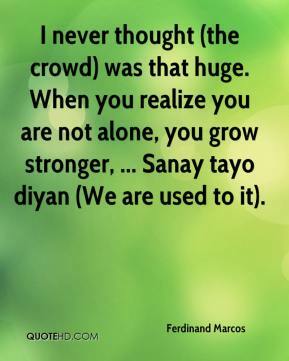 When you realize you are not alone, you grow stronger, ... Sanay tayo diyan (We are used to it). We heard that a suicide attacker was among the crowd. 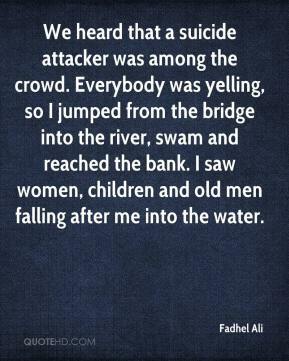 Everybody was yelling, so I jumped from the bridge into the river, swam and reached the bank. I saw women, children and old men falling after me into the water. 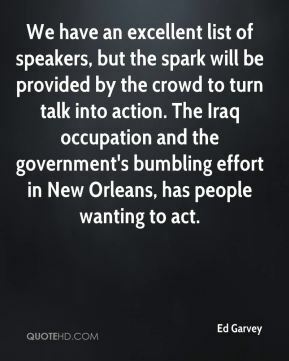 The terrible thing is that the crowd that fills the street believes that the world will always be the same and that it is their duty to keep that huge machine running, day and night, forever. 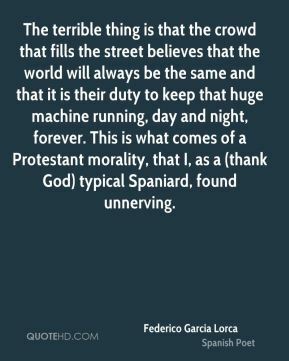 This is what comes of a Protestant morality, that I, as a (thank God) typical Spaniard, found unnerving. It will energize the crowd and the team. He does not have to hit home runs. It is the fact that he will be in the lineup. 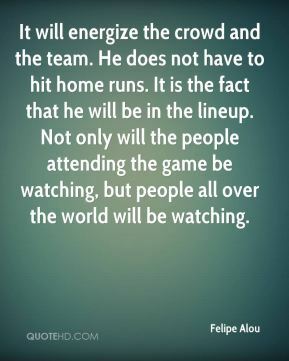 Not only will the people attending the game be watching, but people all over the world will be watching. 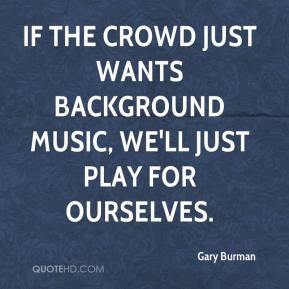 If the crowd just wants background music, we'll just play for ourselves. 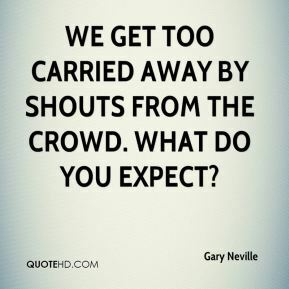 We get too carried away by shouts from the crowd. What do you expect? The crowd got its money's worth on a Saturday night. It's not a masterpiece. 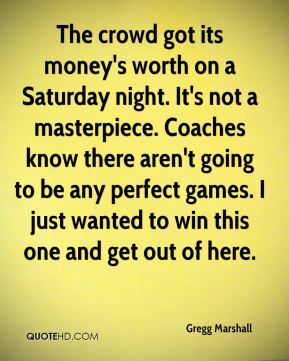 Coaches know there aren't going to be any perfect games. I just wanted to win this one and get out of here. Chris has an amazing ability to get the crowd going and get everyone singing along, ... He tries to make them feel very much that they're contributing to the atmosphere of the place. 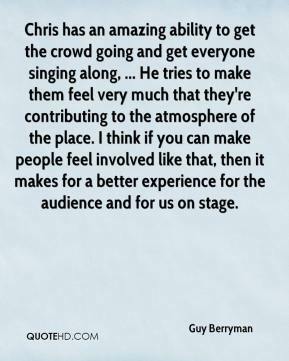 I think if you can make people feel involved like that, then it makes for a better experience for the audience and for us on stage. It was one of the moves in my bag of tricks I tried to pull out and give the crowd a little excitement. I wanted to sprinkle a little G-Lew in there. There were a lot of kids in the crowd and I think a lot of them were familiar with my name and obviously being over here with the attention I received when I was here. It was kind of nice to hear the kids squealing, the atmosphere was good. 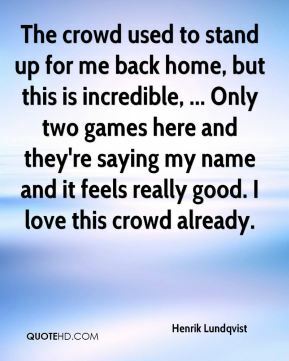 The crowd used to stand up for me back home, but this is incredible, ... Only two games here and they're saying my name and it feels really good. I love this crowd already. 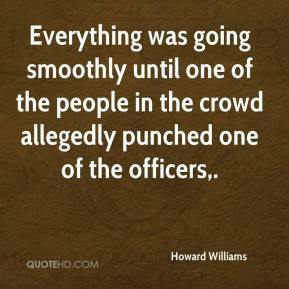 Everything was going smoothly until one of the people in the crowd allegedly punched one of the officers. 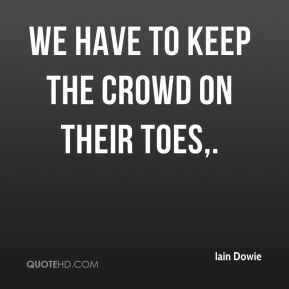 We have to keep the crowd on their toes.